I can’t believe I haven’t blogged about this sooner – I treated myself to this NARS Lip Pencil from Selfridges last year (still feels weird saying last year!) I used that £50 Selfridges Gift Card which I won. The shade is called Lodhi, it’s a lovely coral-pink and it’s absolutely perfect for this “new-year-spring-is-here!” mood that I’m in. Isn’t it lovely? (Do you like my vague attempt at artistic photography…!?) 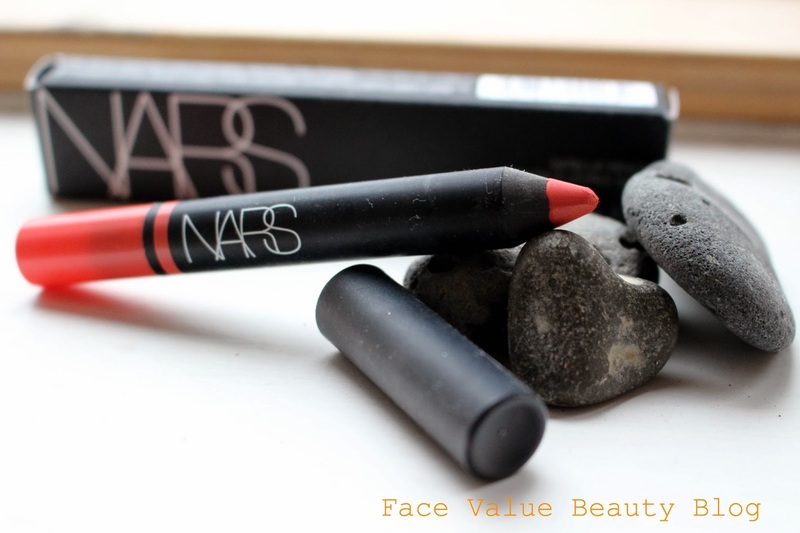 As I’ve said before, I’m a big fan of the crayon format and this NARS Lip Pencil ticks all the boxes. If only it wasn’t so blimmin expensive! I love the texture– it’s smooth and creamy and applies like a dream. The colour is true and vibrant and it’s actually quite long lasting too. I’d also like to try the different finishes next- the Velvet Matte Lip Pencil and the Velvet Gloss Lip Pencil. I just wish it was cheaper!! Any recommendations for any NARS colours to add to my new collection? Previous Post MONEY MONDAY: NY Resolution? Get Financially Fit! Such a lovely colour and looks great on you! !